Between 1776 and 1783, Britain employed at least 30,000 German soldiers in its quest to put down the American rebellion. The rulers of six German territories within the Holy Roman Empire hired out these troops in exchange for subsidy payments. By 1781, more than one third of the British army’s strength in North America consisted of soldiers that soon became known as the “Hessians,” regardless of place of origin. These troops, which were accompanied by hundreds of civilians, including women and children, produced a wealth of private and public records that offer unique perspectives on American society during the revolutionary period. Based on these German-authored accounts, the lecture will highlight some of the experiences of the German auxiliaries in the War for American Independence. Friederike Baer, who earned a Ph.D. in Early American History from Brown University, is Associate Professor of History at Pennsylvania State University Abington College. Her research focuses on the experiences of German-speaking people in early America. Among her publications is her book The Trial of Frederick Eberle: Language, Patriotism and Citizenship in Philadelphia’s German Community, 1790-1830, which won the 2011 St. Paul’s, Biglerville Prize for the best book in Lutheran church history published in the previous three years. 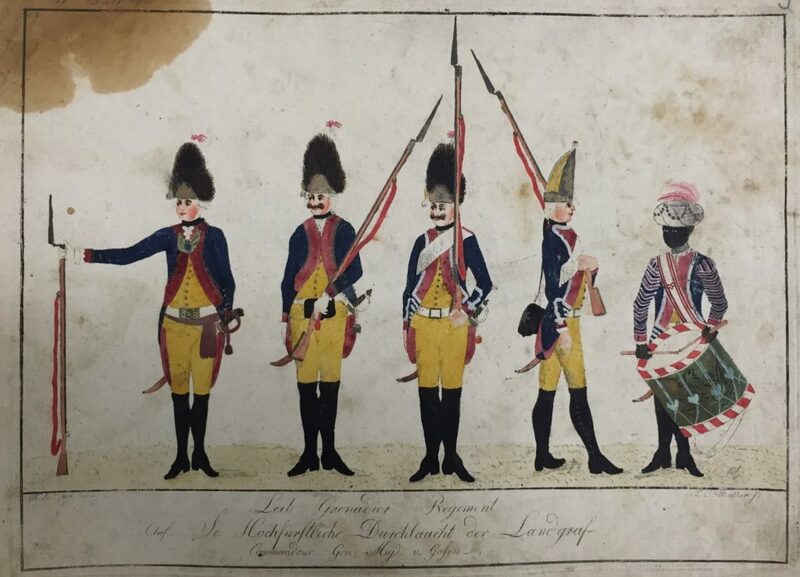 Baer is currently completing a book project on the estimated 30,000 German soldiers that fought on the British side in the American Revolutionary War, to be published by Oxford University Press. The lecture is free (but donations always welcome!) and open to the public. Please forward this invitation also to anyone who you think might be interested in the topic. In case of questions, you can contact the office at 215-627-2332 or info@germansociety.org. We're looking forward to seeing you on the 27th!